Accidental death can take you by surprise, so can the costs. You can Be insured for Accidental death or for Life. There are various life insurance policies available to South Africans, but one of the most popular is accidental death cover. Most insurance companies offer this type of cover. Investigating all the options is easy today because of websites available on the internet. Consumers can easily shop around for the best deal. This type of insurance only pays out in the event of an accidental death. The chances of dying in an accident are low compared with old age or illness. For this reason, premiums are very affordable and attractive to a lot of consumers. There will be no payouts to beneficiaries unless the policy holder’s death is termed as accidental. Most accidental death policies include a payout benefit in the event of loss of a limb in an accident. If you are in an accident, you may not have coverage if you develop health problems after going to the hospital. You may not be covered if death is the result of in-hospital treatment. Insurance companies may regard this death as unrelated to the accident. The length of hospital stays also impact on payouts. If an accident victim is hospitalised for more than a month, payouts are unlikely. Death benefits are also likely to be withheld by insurance companies if an accident victim survives for five years or longer after the event. Payout benefits will also not apply to accidental deaths caused by dangerous sporting pursuits such as speed-related activities. Standard life insurance provides payout benefits for any death, no matter the cause. Chances of dying in an accident are far lower than from dread diseases, heart attacks, kidney failure and old age. Premiums for standard life cover are much higher than for accidental death, but you can reap the benefit of providing for those near and dear after his/her death. While the cost of a life insurance policy for accidental death is financially appealing, beneficiaries will only reap the benefits if the policyholder dies accidentally. While standard life insurance covers most forms of death, there are several exclusionary clauses. It includes suicide and consumers should educate themselves fully before choosing a product. 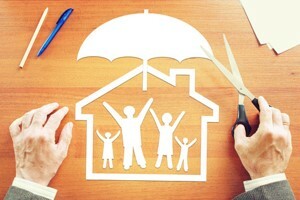 ← Find cheaper Life Insurance online Quickly.